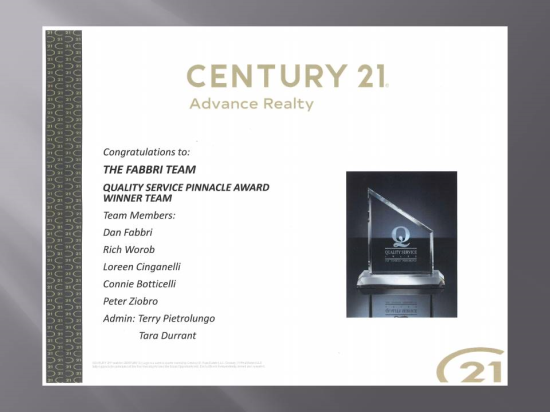 I am pleased to say that our Team, The Fabbri Team, has won every award within the Century 21 organization going back over 30 years. 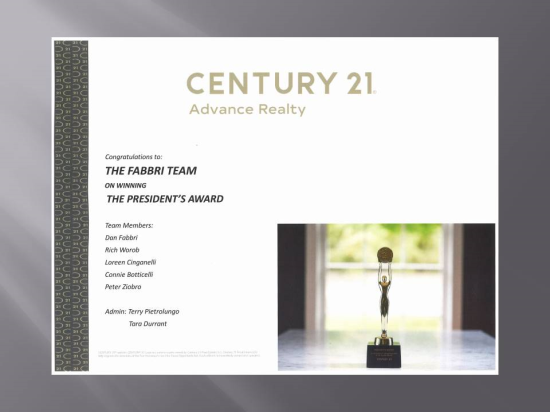 Also Dan Fabbri has earned the prestigious GRI, Epro, and CRS designations in addition to ongoing training in all facets of Real Estate. 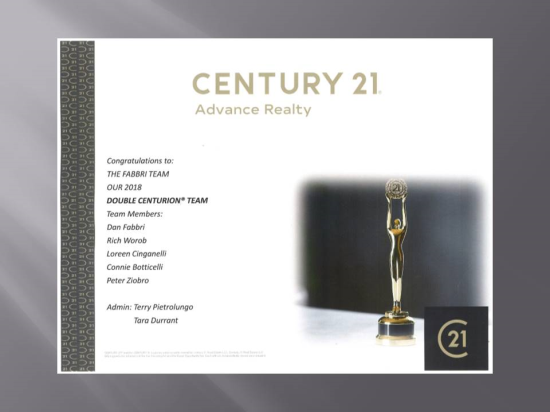 Please consider interviewing us when deciding to sell your home.